Winter Registrations are now open. Winter training for MLA will begin Term 2 Monday 29 April 2019 4:15pm to 5:30pm. To register Non members, please go to http://www.lansw.com.au/ and choose Register and then Join. We are also pleased to announce that we will be holding an ATHLETICS CAMP in the upcoming April 2019 school holidays! Summer registrations will open in August 2019. Please visit this page in August for more information. RENEW your membership. Existing Members – for individual members who have been registered before (refer below to “Tips for Existing Members Re-registering Online”). JOIN New Members – for individual members registering for the first time. Family Membership – for all family registrations, existing or new. When registering or re-registering more than one child you are eligible for a family discount if you select this category. NON-Volunteering parent means you are unable to meet the volunteer requirements, which is helping out not less than four times per child throughout the season at Balmoral. Please note that a Non-volunteering membership does not include championship events. If your child/ren competes in a championship event you will be allocated a duty. Unfulfilled duties incur a fine. Tiny Tots are required to have a parent supervising at all times so the Non Volunteering option is not applicable to a Tiny Tot membership. Siblings of Tiny Tots are eligible for the volunteering option. (Being present at the Tiny Tots sessions contributes towards the volunteering for the Tiny Tots siblings). Link to the Little Athletics NSW website via www.lansw.com.au and click on the Registration link on the right hand side. Select your membership category (as explained above) and you will be asked to select a Centre and Club both of which are “Mosman”. Agree to abide by the rules and regulations of LANSW. NB: If you are re-registering either as an individual or as a family you need to sign in using your username and password that you will receive in an email from LANSW. 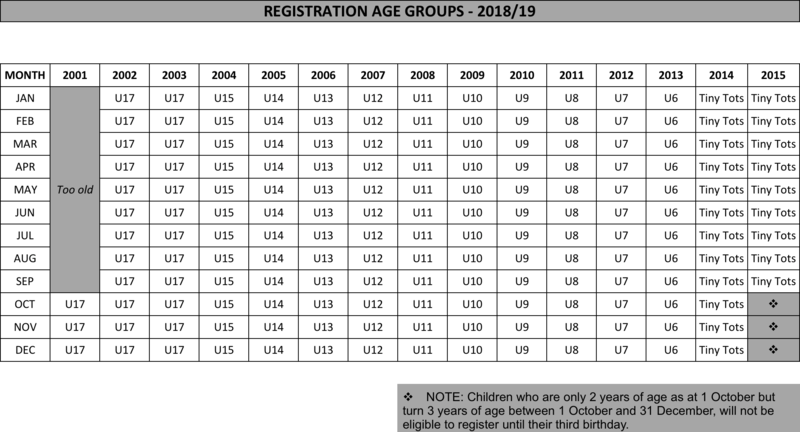 Each athlete has his or her own ID and password whether re-registering as an individual or as part of a family registration (refer below to “Tips for Existing Members Re-registering Online”). *The Volunteer Declaration Form needs to be completed with your volunteering commitments and will include an authority requiring your credit card details. Any shortfall in your volunteering obligations (4 per child), revealed at our end of season audit, will incur a $25 charge per failure to attend e.g. if you only fulfil 2 of your 4 obligations your credit card will be charged $50. If you are re-registering either as an individual or as a family you need to sign in using your username and password that you receive in an email from LANSW once registration opens online. OR each member’s ID and Password can also be obtained throughout the year via www.lansw.com.au by clicking on the Registration Icon, then on “Username and Password” located on top bar and if you submit your email address your details will be sent to you via that email address. Each athlete has a unique ID and Password whether re-registering as an individual or as part of a family registration. Note: When logging in with your ID and Password, the system will only receive it if it is “copied and pasted” from your email sent from LANSW. It will not receive the information when manually typed in. Click on the Login button and enter first member’s unique ID and password (copied and pasted from your LANSW email) or obtain by clicking on “Username and Password” located on top bar to obtain via email. Follow steps 4 to 6 above under “Guidelines for Online Registration”. The next page has the first member listed (with completed details) and then under second member you hit “enter details” which takes you to the next page to “Login” your second child/member using their ID and Password copied and pasted from your LANSW email. The system then picks up all the personal particulars of your second child so you needn’t complete all of this again.